Norcal Crew is a 501(c)3 nonprofit organization dedicated to the development of youth through the sport of rowing. The organization is overseen by a board of directors, managed by an executive director and coaching staff, and supported by its membership and the surrounding community. 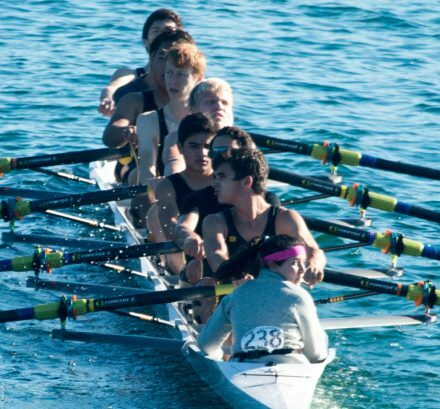 Norcal’s mission is to provide opportunities for instruction, training, and competition in the sport of rowing to middle and high school students across the San Francisco Peninsula. Norcal strives to provide a comprehensive training program in order to strengthen its student-athletes’ personal development. It is the team’s goal to foster a sense of team spirit while helping athletes develop both physical and mental strength and broaden their horizons as they learn to trust and support teammates while establishing their own sense of confidence and commitment. We award need-based scholarships to defray or eliminate training and racing costs for families who are unable to afford the full costs. We have also partnered with the Foundation for a College Education to introduce their participants to the sport of rowing, and bring then access to our competitive team. Norcal is committed to making the opportunity to row available to any athletes who want to train. Norcal practices out of the Bair Island Aquatic Center (BIAC) at the Port of Redwood City and races all over the country, though primarily in California. Norcal has top-of-the-line racing shells, including eights, fours, quads, doubles, pairs, and singles from Pocock, Vespoli, Sykes, Hudson, and Empacher. Crew is a team sport. It fosters a sense of team spirit, helping athletes develop both physical and mental toughness and broadening their horizons as they learn to trust and support others, while establishing their own sense of confidence and commitment. Those who stay with the sport generally remember it as a highlight in their lives. Crew is a lifelong sport with participants who row well into their seventies at masters regattas held throughout the country. 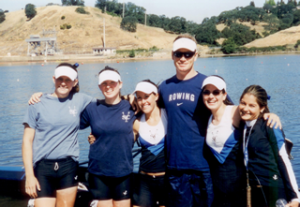 In the fall of 2000, Norcal’s original head coach, Mike Still, founded Silicon Valley Crew, a rowing program for high school students on the Peninsula. The program had one hand-me-down shell and only a handful of girls and rowed out of the Marine Science Institute. Due to the small size of the program, Mike often rowed in the boat with the girls so they wouldn’t go in circles. At the team’s first race, only six girls showed up, so Mike even raced with the team (and they won!). In their second year, the program graduated to rowing out of a portable classroom in the parking lot and nearly doubled in size. 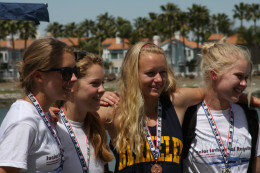 Fun fact: Allison Frykman, a former director of Norcal, was a member of Silicon Valley Crew’s varsity four – the first crew to win a medal for the team at championships (pictured to the left). 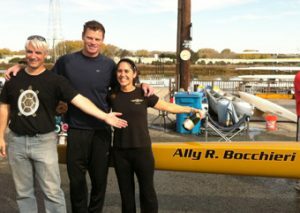 One year later, Ally Bocchieri, a member at Bair Island Aquatic Center, located just down the road from Silicon Valley Crew, started a junior level rowing program to compliment BIAC’s Masters rowing team. 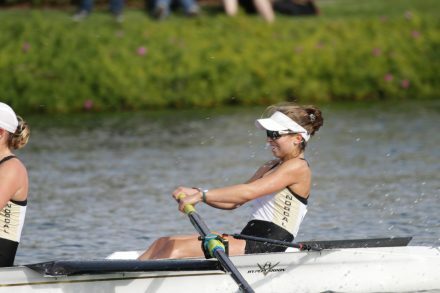 Because they were located so close to one another geographically, the two junior crews competed for athletes and water space, diminishing the competitive potential of each program. In the fall of 2004, the crews decided to combine their resources and athletes, merging into one team rowing out of the Bair Island Aquatic Center. The athletes chose to name the new program Norcal Crew. The program has grown steadily over the past decade and now has over 100 members across the men’s and women’s teams.